360 Panorama of the British Council's Great Creator, UK Graduate Show 2015 in Beijing. Taken by David Hilton. Congratulations to two of our Media Artists who won awards at the 2019 Royal Television Society Devon and Cornwall Student Awards. Love Island star and social media influencer Laura Crane hosted the ceremony, which was held at the Jill Craigie Cinema, University of Plymouth. James Cox won the Craft Skill Award for Graphic Design with his film, How to be Funny. James graduated last year from Media Arts and is now enjoying employment with TwoFour. Simon Cohen won the Short Form award for his film 'Becoming the Medium', which he created in his second year. With dissertation complete, Simon is currently working on his latest work which will premier at this years Graduation Show. This is eight years in a row that Media Arts students have won RTS awards. Artist and Media Arts Associate Lecturer, Rachael Allain's film/installation Epipelagic Drifters was shown for the duration of the Illuminate Light Festival at Ocean Studios, Royal William Yard, 22–25 November. Additionally, there was a film screening by six Media Arts students - Rebecca Brown, Sira Eriksen, Harry Foreman, Danielle Knight, Rufus Scott and Phoebe Summers. A Drop in the Ocean – Rebecca Brown, Sira Eriksen, Harry Foreman, Danielle Knight, Rufus Scott and Phoebe Summers. The film has been developed as part of the BA (Hons) Media Arts Independent Practice module with Rachael and fellow lecturer, Tim Mills. See more information on the Illuminate Light Festival website. Read about our Fine Art students' work displayed at the festival. Media Art student Courtney Bell’s 3D stop-motion animation, Chasing Plastic Jellyfishes, screened at an international competition at the Animation Marathon 2018 Festival in Athens, on Wednesday 21 November. Chasing Plastic Jellyfishes is a stop-motion animation which explores current ecological issues regarding plastic. (Greenpeace, 2018) Courtney's animation uses plasticine to bring a playful and colourful quality to the piece in order to educate an eclectic audience about the dangers of plastic waste for marine life. This is the third year running that animated films created by Media Arts students have been selected for the Animation Marathon. Media Arts student turned award-winning director, returned to Plymouth to host a preview screening of his first major feature film. Dom Lenoir graduated from BA (Hons) Media Arts in 2008. Ten years later he came back to present Winter Ridge, a dark psychological thriller filmed in north Devon, in a special screening and Q&A at the University. The film, Dom’s first big feature-length work, has already been a hit on the festival circuit on both sides of the Atlantic, with 12 awards and counting. See an interview with Dom on London Live. Media Arts graduating student, Jake Giddy, receiving The Moment Digital Media Award from Head of Production, Alice Kilpatrick (right). Jake was also awarded Media Arts Student of the Year by Programme Leader, Phaedra Stancer (left). Two graduate awards were sponsored by The Moment again this year. The Moment is a Creative Engagement Agency: Creating and delivering video, digital and VR (Virtual Reality) from their offices in Plymouth, London and Philadelphia. They are one on Media Arts partners and supporters from the media industry. Jake Giddy won The Moment Digital Media Award for his final year project, Through The Looking Glass, a multi-sensory, digital installation. Find out more about Jake and his installation. In 2017, Maker Memories collaborated with 2nd year BA (Hons) Media Arts students and Fotonow CIC to develop a number of responses to Maker. The students produced a series of short documentaries, films and still photography which were shown on Plymouth's Big Screen. BA (Hons) Media Arts student, Dmitri Domoskanov, has won the regional 2018 RTS Student Award for Animation with his stop-motion animation, Metamorphose. This is the 7th year in a row that a Media Arts student has won an RTS award and the first time we have successfully claimed the Animation Award. Many congratulations to Dmitri and his collaborator Calum Clark, this is a fantastic achievement. Dmitri’s experimental stop-motion film-making has already achieved international success and was featured in the Animation Marathon Festival in Athens, Greece last year. The winners were announced by film and TV director Nigel Cole (Made In Dagenham, Last Tango In Halifax). Nigel was so impressed, he has agreed to come back to Plymouth to give a guest lecture to Media Arts students next year. The panel found Metamorphose curiously mesmerising. The visuals and sound held their own weight, in a challenging and jarring film that kept its edge throughout which lent a powerful sense of story to inanimate objects. BA (Hons) Media Arts Associate Lecturer and legendary rig master, Tony Hill’s Rigs are the focus of a new short film, Why Can’t We Get Along, made for fashion house Rag & Bone. The film, premiered in New York in February 2018. It was directed by Benjamin Millepied, Aaron Duffy and Bob Partington, working with celebrated cinematographer Darius Khondji. The sound track is a new song by Radiohead’s Thom Yorke. To find out more about Tony Hill and his work, visit his website http://www.tonyhillfilms.com. A behind the scenes video of the production, 'Why Can’t We Get Along – Rig Film'. Legendary camera rig master, Tony Hill, has been making innovative camera rigs since the 1970’s. A total of five camera rigs were used to create this rag and bone film–three of Tony’s originals and two custom designed in partnership with Tony by Aaron Duffy, Bob Partington and Gamma Fabrication. All rigs held multiple cameras and iconic cinematographer, Darius Khondji, brought the film to life through incredible composition and dramatic lighting. The rig film gives insight on how this rag and bone film, 'Why Can’t We Get Along', was made. Village Green Recordings released the e.p 'Pretoria Remixed' by John Matthias and Jay Auborn on March 2, which is taken from their 2017 album, 'Race to Zero'. The e.p features remixes from John Cummings (Mogwai), Moongangs (Beak>) and CUTS. For more information please visit the Village Green Recordings website. This article from Self Titled reviews the Moongangs remix and premieres a short documentary about the some of the processes used to make 'Race to Zero'. Media Arts, Associate Professor, John Matthias and Jay Auborn have written the score to the feature film 'In The Cloud' starring Gabriel Byrne (The Usual Suspects) and Laura Fraser (Breaking Bad) which premieres on 8 February 2018 on the US Sony Crackle online TV channel. The film explores some of the darker consequences of Virtual Reality and the score features the Vitosha Philharmonic Orchestra (Sofia, Bulgaria) and the Exultate Singers (Bristol, UK) together with extensive use of the Neurogranular Sampler, an instrument incorporating a tiny artificial cerebral cortex designed at the University by John Matthias and Jane Grant. Research Processes involved the creation of a sound world for a 'digital requiem' and the development of sonic/ musical representations for moving between virtual worlds. BA (Hons) Media Arts graduate Sean Valentine has been nominated for a national award at the National RTS Student Television Awards Ceremony on Friday 16 June 2017. 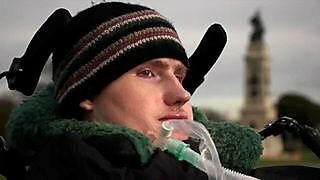 Sean’s is one of only three videos from across the country to be shortlisted for the factual award. He has also been nominated for the Craft Skills Camerawork and Craft Skills Sound categories. It is a huge achievement to be shortlisted and we wish him all the best on the night. Sean has settled in Plymouth and has been working with Fotonow as a filmmaker since graduating. Wild Swimmers was produced by Sean in the Independent Practice module in his final year of Media Arts. 3-D animated films created by two BA (Hons) Media Arts students have featured in the recent Animation Marathon Festival last month in Athens, Greece. The festival took place in Ρομάντσο, the former printing plant of the once famous Romantso magazine, situated in the historical center of Athens which now functions both as hub for start-up companies within the creative industry and as a cultural centre, organizing and hosting a variety of events accessible to the wider public. Terry Burrows, who graduated in 2016, presented his final year film The Spider, a model animation about fear, exploring the irrational thoughts that pop into your head when faced with something that might cause you embarrassment or for other people to have a lesser opinion of you. “University is the place where students are given a possibility to take as much as they can while they are still students. To me it was extremely important to constantly ask tutors for help, collaborate with course mates and make the best use of the University’s facilities and equipment. Thanks to that, I managed to produce an animation piece that was screened in Athens alongside professional animated films from across the world. BA (Hons) Media Arts students are introduced to a range of animation techniques by tutor Kayla Parker at the beginning of their second year of study, and all are encouraged to develop their own, individual style. Stop-motion techniques are popular, with students using professional Dragonframe capture software in the studio, along with other computer programs, to make animations in modelling clay, plasticine, or found objects, pixillation films with human performers, or creating time-lapse on location. Another recent graduate from Media Arts, Anna Louise Day, has now completed a masters degree in Experimental Film at Kingston University, London, and continues to make a name for herself as an artist, creating distinctive animation films using macro-photography. Anna’s latest film was selected for the It’s LIQUID Contemporary Venice exhibition held at Palazzo Flangini in Venice during December 2016 and January 2017. Associate Lecturer in Media Arts, Amanda Bluglass was honoured last week at the 2016 Parity Awards in New York city for her commitment to social justice in elevating LGBTQ people of faith through documentary film. Parity is a faith-based advocacy organisation which works to create a world where gender and sexual identities are not barriers to lives of observance, faith and religious affiliation. Amanda Bluglass and Rev Bertram Johnson at the Parity Awards 2016. "Amanda's tremendous film, Out of Order, captures what Parity stands for: LGBTQ people reconciling their sexual and gender identities with their faith. The film shows the struggle of emerging pastors as they face discrimination and uncertainty within their faith communities. It also shows the fellowship that is built into the affirming space of Parity’s pastoral retreat, allowing these young leaders to develop their gifts, and to serve their congregations and the larger society. Throughout her career as a BBC news reporter, TV producer, radio journalist, university lecturer and award-winning filmmaker, she has created compelling portraits of other hidden individuals, including a punk octogenarian and a pioneering deep-sea diver. For these achievements, and all her work to highlight social justice issues through her art, she has our gratitude and profound respect." The 2016 Parity Awards took place on Thursday, November 17 at Congregation Beit Simchat Torah in New York City. Amanda's documentary Out of Order, which is currently doing the international film festival circuit, was shot over four years across eight states within the USA. It follows the lives for four aspiring LGBTQ ministers in their journey towards ordination during key moments in US history. It was funded by crowdfunding and support from partners including the University of Plymouth Media Arts staff development fund. It has been recognised with two Official Selections: Atlanta's LGBT Film Festival 'Out on Film, 2016; and Palm Springs 2016 'Cinema Diverse' Film Festival. It is due for release in 2017. Media Arts Associate Professor, John Matthias and Jay Auborn (dbs Plymouth) have written part of the score to the new feature film, 'Poor Boy' directed by Robert Scott Wildes which features performances from Michael Shannon and Dale Dickey (well-known for her work in 'Breaking Bad'). 'Poor Boy' is having its premiere at the Tribeca Film Festival, New York City on April 13th 2016. The film, shot in the American Desert follows the story of Romeo and Samson Griggs, two reckless, misfit brothers living on the outskirts of town, who survive by hustling, gambling, and thieving. The score also features music by Thom Yorke, Jon Hopkins and four tracks from John Matthias and Nick Ryan's 'Cortical Songs' including Media Arts Lecturer, Andrew Prior's 'Thimble taps' Remix. Media Arts has been entering student work for the regional Royal Television Society Student Awards for the last five years and has won every time. This year the winner was Alexander Nicol, whose documentary War on the Moors was winner of the News category. Alex graduated this year with a first class honours degree in BA (Hons) Media Arts. He was Media Arts Student of the Year and has been employed full time by one of our regular graduate employers Silverstream TV. Alex was a valuable member of the staff student liaison committee, helping to bring new initiatives into the programme. He went to on an all-expenses paid trip to Prague after winning the Deans award at the end of his second year. The award was well deserved and we wish Alex all the best with his future career. The RTS award ceremony takes place annually as part of Breaking Into Media, a media careers event organised in collaboration with the Media Innovations Network. The Breaking Into Media includes the Getting In and Getting On session featuring a panel of speakers working and running companies in the sector who will give their top tips on getting into the industry and progressing in your career plus a special Meet the Employers Networking session. Our very own Doctor David Hilton, Media Arts Associate Professor, was one of only three academics representing Arts Higher Education in the UK at the British Council's Great Creator UK Graduate Show in Beijing. He ran a workshop for delegates exploring the medium of 360 cinema, his specialist field. Take a look at the opening night through a mini 360 snapshot of the event created by David. 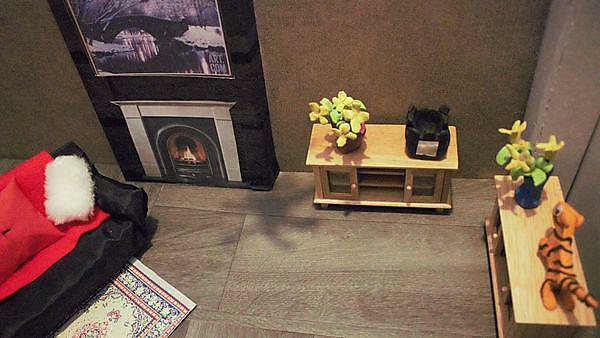 We're also proud that BA (Hons) Media Arts graduate Tenzinsedon was selected to exhibit work in the graduate exhibition. Tenzinsedon graduated in 2014 and went on to win numerous awards both in the UK and in China for the outstanding documentaries she produced while a student on BA Media Arts at the University of Plymouth. Watch a short interview with Tenzinsedon at Great Creator (Vimeo). 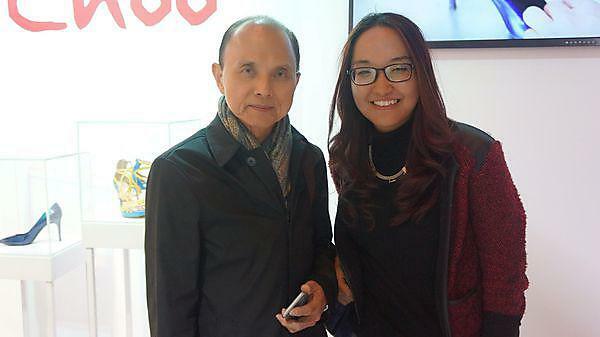 Great Creator, UK Graduate Show took place on the 30th and 31st of October 2015 in Beijing attended by the British Ambassador, with the well-known fashion shoe designer Jimmy Choo (another UK graduate) and multi BAFTA award winner Graham Fink, contributing to the event. "We are incredibly grateful to you for giving up your time to be a part of the event, which attracted nearly 50,000 people over the weekend and a further 700,000 people online, not to mention media circulation upwards of two million, including a report on CCTV’s national news channel. This would not have been possible without your attendance and your inspiring master class, which was very well received by all the students and members of the public who joined". Congratulations to second year students Adam Read, Conor Carroll, Jasmine Casey and Matthew Chappell who won a YCN award for their Idle Man advertising campaign. To have a win from our first set of YCN entries is fantastic! YCN competition briefs were only introduced to the second year Media Arts Collaborative Practice module this year with the intention of giving students live brief experience working as small, collaborative production teams. In September Adam, Conor, Jasmine and Matt attended a special YCN award ceremony in London. They were delighted to also receive the overall category win for their campaign for the Idle Man clothing company. You can watch the video produced as part of the winning campaign on You Tube. Full list of YCN award winners. Danny Cooke, Media Arts Associate Lecturer and graduate filmed the haunting video 'Postcards from Pripyat, Chernobyl', while working on a '60 Minutes' segment for CBS News about the Chernobyl Exclusion Zone. Media Arts is to work with the production house Calling the Shots on Channel 4’s Random Acts series. Random Acts is a daily arts strand on Channel 4, late nights. Television as art, rather than about art, Random Acts will enable a diverse supply of both established artists and emerging talent to create their own pieces. This partnership will open up lots of exciting new opportunities for our students. Graduate Lexi Gilbert is now the only UK contender left in the running for a place at one of the world's top cinema make up schools in California. She entered the competition after working as a trainee special effects artist on the cult series Game of Thrones. BBC Spotlight interview. Rob produced the short drama, Bitter Natives, as a final year Media Arts student. The film has since won online awards and been screened at international festivals. and was announced Student of the Year at the Media Innovations Awards. at the Royal Television Society Devon & Cornwall student awards ceremony. The Media Innovation Awards celebrate the innovative use of media and design across the South West of England. At the 2014 award ceremony on 27 November 2014, Jonathan Brough, Media Arts recent graduate was announced winner of the Student of the Year Award. 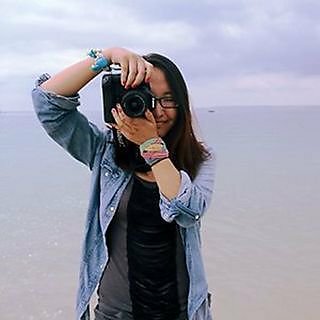 Tenzinsedon, a recent Media Arts graduate from Tibet, won the award for Best Factual Video at the Royal Television Society Devon & Cornwall student awards ceremony on 19 November 2014. The ceremony was part of the careers event Breaking into Media, an annual event sponsored by the University of Plymouth. This is the fourth year in a row that Media Arts has won an RTS award. 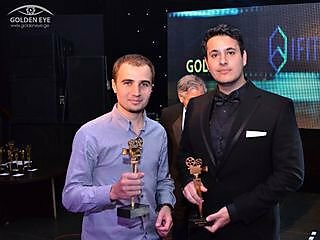 On 18 October 2014, Vince Knight, Media Arts graduate, was at the Golden Eye International Festival of Cameramen in Georgia to receive the award for Best Student Film. On 22 October 2014, he was in York, where he took first place at the Guild of Television Cameramen University Awards. After graduation in 2012 Vince went on to do a Masters at Bournemouth University. In addition to building up an impressive list of DOP credits, Vince continues to work all over the world with Drift Allstars, the company he first contacted in his Media Arts Collaborative Practice module. Read the Guild of Television Cameramen article. San Francisco International Festival of Short Films 2014. Tamar, a live screen/sound performance is a collaborative project between imperfect cinema and the imperfect cinema orchestra. Director, Allister Gall also recently facilitated Walk On Film, a project in partnership with the British Film Institute, South West Film and Television Archive, iDat and the River Tamar Project. Imperfect Cinema’s co-founder Allister Gall is a Media Arts Associate Lecturer and PhD student. Media Arts associate lecturer Amanda Bluglass, together with graduates Vince Knight and Danny Cooke, won Best Film award at the Media Innovation Awards 2013. Their film, Beneath 360, was commissioned by ICCI, the Arts Council and the cultural Olympiad 2012 and features high board Olympic diver Tom Daley. For the third year running Media Arts won at the regional RTS student awards. Ben Hancock and Will Jenkins’ superb drama To the Dogs took first place in the fiction category. The film, which was made as part of Media Arts third year Collaborative Practice module, was a truly outstanding achievement. The Granny Alphabet, the latest book by leading fashion photographer and Media Arts graduate came out in November 2013. Tim’s stunning fashion photography continues to take lead place in Vogue magazine as it has for over a decade. Digital Media and Society: An Introduction was published in September 2013. In the book Adrian kindly acknowledges the role of Media Arts staff in the early development of his career. Adrian also contributed to our new graduate brochure. Media Arts new commercial production house PUMA was commissioned to produce a video to launch the new season for Plymouth Raiders. As we have PhD student and ex-Raiders captain Allister Gall on the PUMA staff, this commission was a great one for us to take on. Allister worked with recent graduates to produce the piece which has been followed up by highlight videos throughout the season. BBC takes Media Arts graduate to Nashville! “I did an interview with Elexu PR in London and when asked what would be the absolute zenith of my ambition as a young singer/songwriter, I replied ‘to play live in Nashville’. This was truly a dream come true.” Read the full interview. BA (Hons) Media Arts students took part in their first panel for media professionals on 22 April 2015. This was a joint initiative with the Media Innovation Network made possible through the School of Art and Media, creative partners scheme. The session was designed to help students understand the wide range of career opportunities within the media sector and to get advice on their own career ambitions. Panel members offered this wonderful opportunity on a voluntary basis. Each of the panel members gave a short presentation on their educational background, how they got into the industry and their career progression. This was followed by one to one meetings with individual students. During these sessions the students were be able to ask questions and discuss their career aspirations allowing the panellists to offer specific advice and inspiration. Feedback from the panellists has been very positive with a number offering to keep in touch with the students in the build up to their graduation. This is an offer that the students are more than keen to take up. The Media Innovation Network includes a wide range of professionals who value the opportunity to share their expertise and experience with those who are about to embark on their careers. The Creative Partners agreement provides a framework for the Network to make this happen. The agreement also helps facilitate a large annual careers event called Breaking into Media for media students across the South West. Both of these events offer invaluable advice and support to students trying to find their way into a complex and competitive field of work.